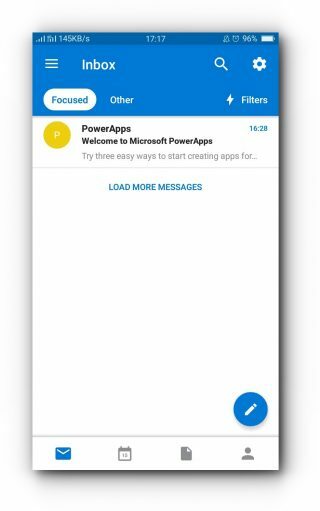 Home/Knowledge Base/Email/How to set up Microsoft Exchange on Android mobile device? 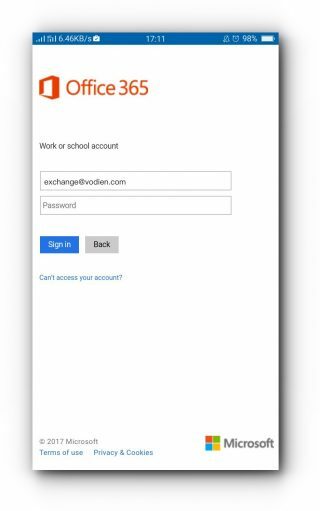 This article is intended for email accounts that are using Microsoft Exchange Office 365 with Vodien. However if you want to use IMAP or POP3, you may do so. Please take note that you will not be able to enjoy the Office 365 features with IMAP and POP3 setup. 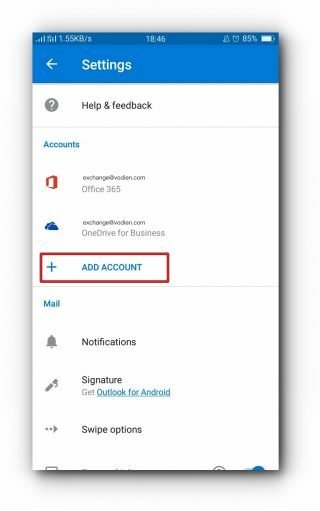 Learn how to set up Microsoft Exchange on Android mobile device by following the instructions below. Step 1. 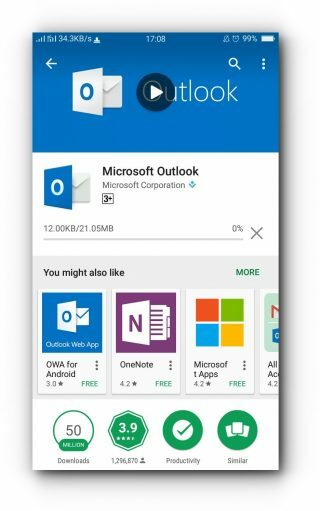 Install Outlook via Google Play. If you already have one, proceed to step 2. Step 2. 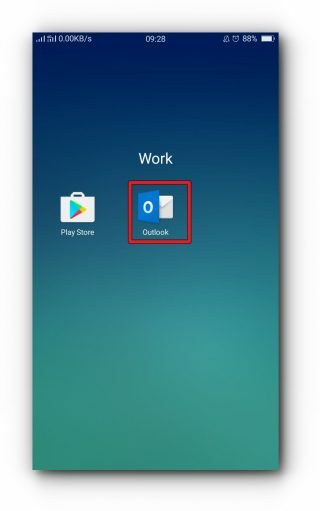 Open Outlook from your Android phone. 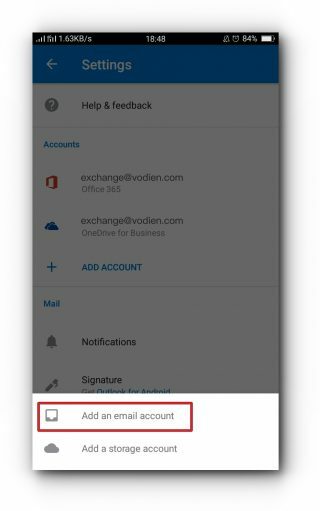 If you are adding another email account, tap the gear icon. Tap “Add an email account”. Step 4. 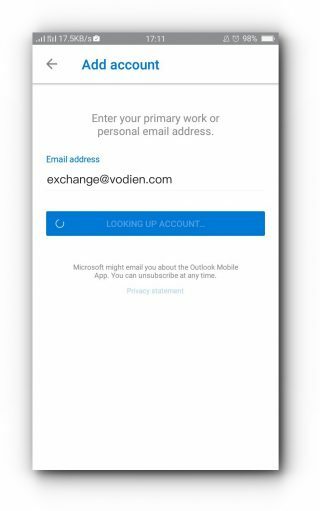 Enter your Microsoft Exchange email address and tap Continue. Step 5. 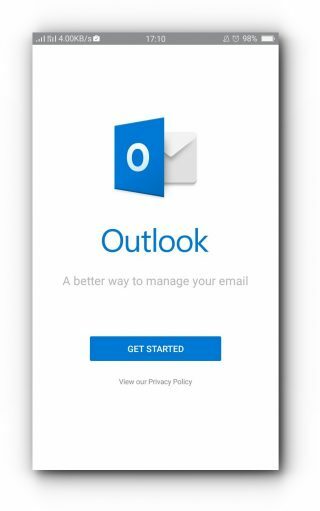 Wait for Outlook to finish looking up your account. Step 6. Enter your email account password and tap Sign in. Step 6. 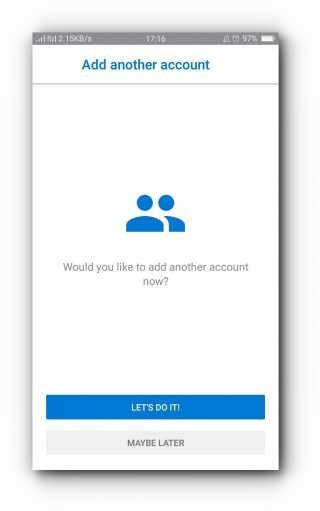 If you want to add another account tap “LET’S DO IT!”; if not tap “MAYBE LATER”. Step 7. You are now signed into your Microsoft Exchange account with Outlook for Android and start using Office 365.